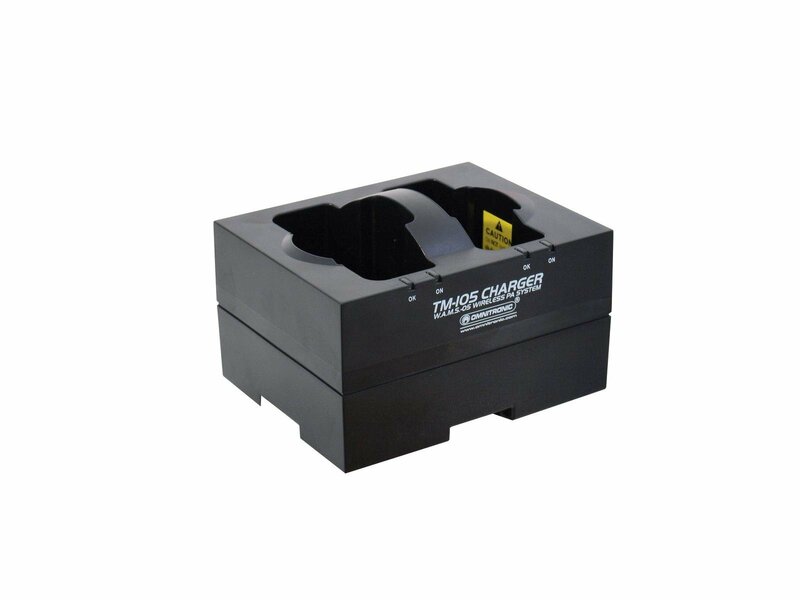 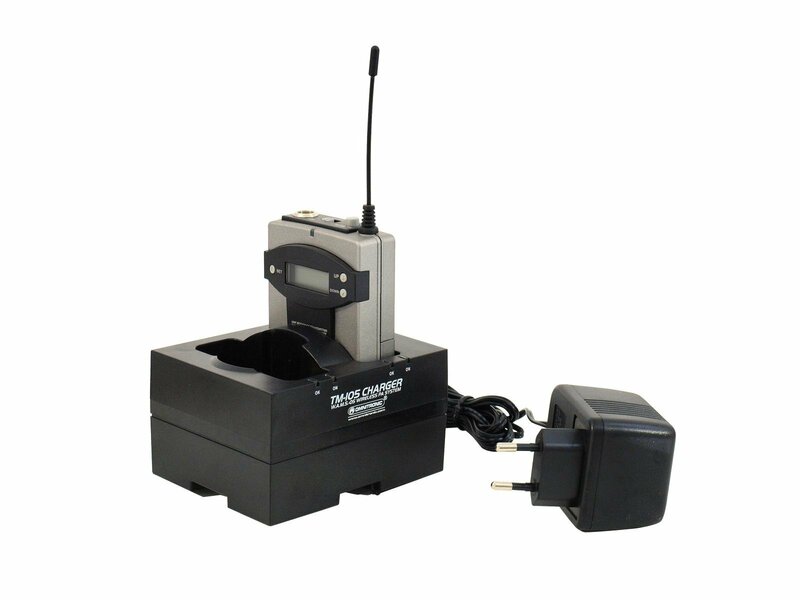 The charging station serves for quick and easy charging of the rechargeable batteries of the pocket transmitter TM-105, which is a component of the PA system W.A.M.S.-05. 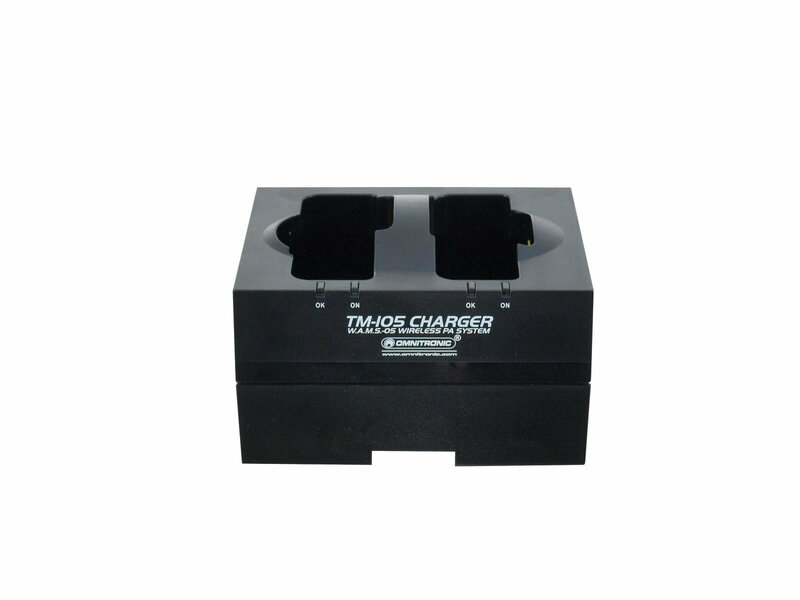 The charging station allows to charge up to two units simultaneously. 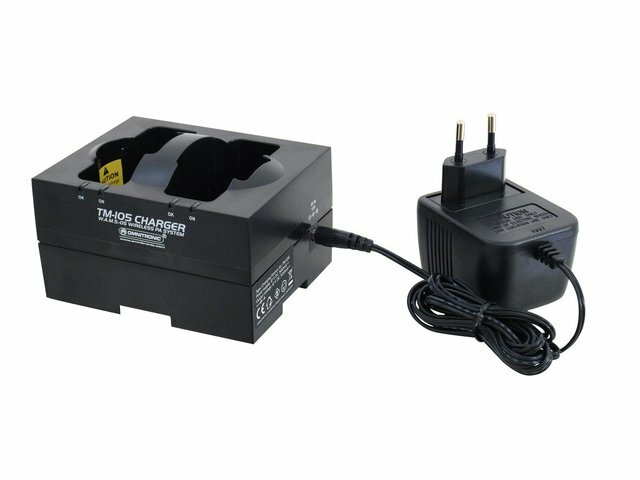 For charging, the batteries remain in the pocket transmitter; the unit is simply inserted into the charging compartment.